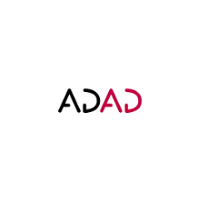 As part of its 21st anniversary celebrations, ADAD hosted its biennial Bloom Festival across the country at events in Liverpool, London, Bristol, Gateshead and Leeds. 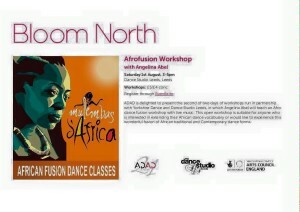 In partnership with Yorkshire Dance and Dance Studio Leeds, ADAD brought Angelina Abel across from Sheffield to deliver an Afrofusion dance workshop, exploring contemporary African vocabulary with live music. The session combined African-diasporic traditions with modern trends, giving an insight into Abel’s own company Mulembas d’Africa that has been running since December 2014. The key traditions explored included the use of the circle, travelling in a circular formation passing on movements around the group; as well as taking cues from the musicians such as breaks in the rhythmic pattern to indicate change of movement. Participants had the opportunity to work as a collective as well as to step forward to share their individual movement phrases that were repeated by the group – instilling a sense of community and mutual energy within the studio. 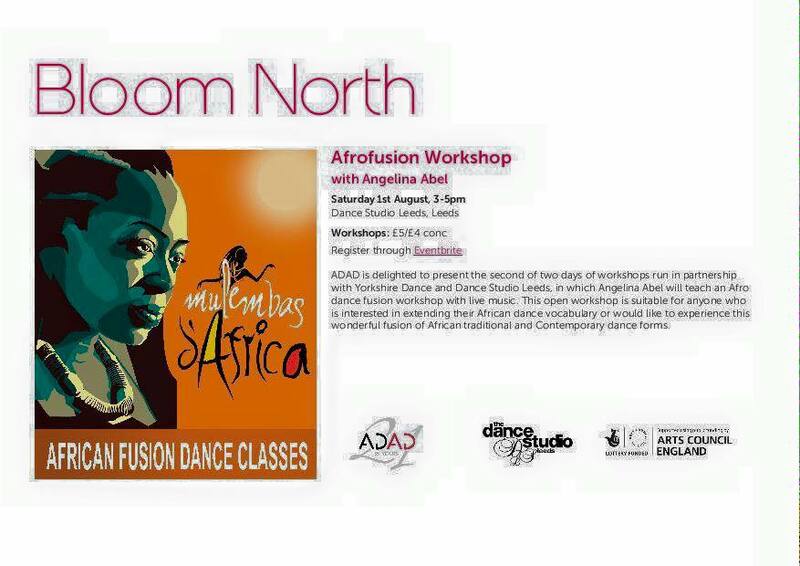 Abel’s workshop was an inspiring edition to ADAD’s Bloom North Festival. Other events across the country included workshops with Namron Esq., performances by Irie! Dance Theatre and Boy Blue Entertainment at Bristol Harbour Festival’s Dance Village, and an interactive story-telling workshop with Funmi Adewole. Looking forward to Bloom Festival 2017!